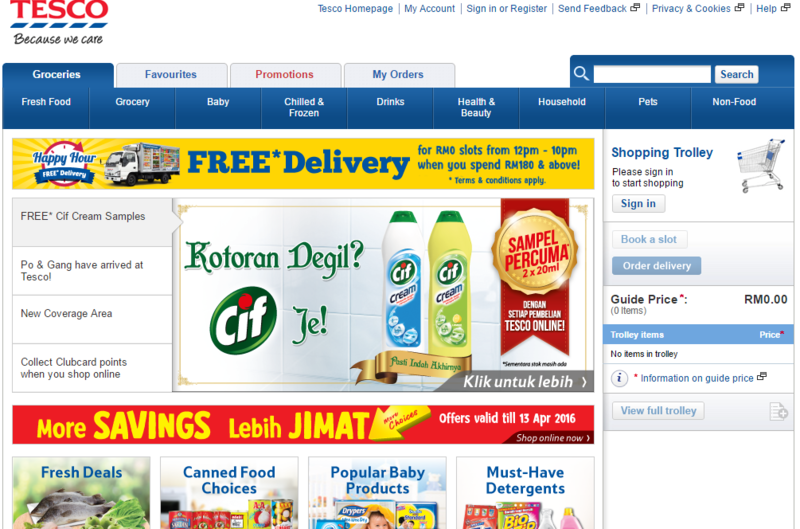 Which Malaysian Online Grocery Site Has The Best Prices? We Try To Compare Them. While e-commerce and online shopping has played a role in making our lives more convenient, such as for grocery shopping, we also have to take the different price tags into consideration—even more so since we have to pay for delivery. We pitted 5 local online grocery sites and these are their price differences for several common items. 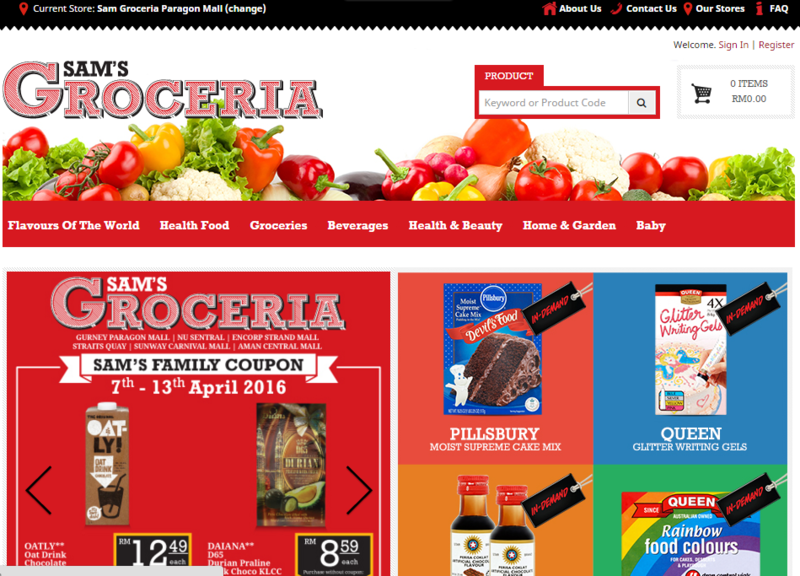 The grocery sites are RedTick.com, Tesco Online, Zero Online Grocery, Freshcart and Sam’s Groceria. Fresh fruits and vegetables are available on all platforms except Grocer Express. Hence, for the controlled items used for the experimenting of prices, they are a 500g box of corn flakes, a 230g can of baked beans in tomato sauce, a 428g packet of cream crackers, a 325g bottle of tomato sauce, a 500g packet of cereal drink, and a 60g packet of chicken cubes. All the brands and weight for each item across the 5 platforms are the same, except for the corn flakes which has the same weight but one is from Nestle and the other is Kellogg’s. Meanwhile, the can of baked beans for Zero Online Grocery is at 425g, which is the next closest means of comparison for the experiment. All prices are correct at time of this comparison, and this includes any available promo prices as well as discounts. Grand total: RM39.34, inclusive of tax (RM1.77), and RM8 delivery fee. Redtick has 6 delivery time slots a day from 10am-10pm and each slot is a time period of 2 hours. Delivery area is arranged by postcodes, so users can search whether Redtick delivers to their area. For orders less than RM100, delivery fees are at a flat rate of RM8. For purchases RM100 and above, they will deliver for free. Grand total: RM32.40, excluding delivery (could be either free, RM5, or RM10, depending on delivery time slot). 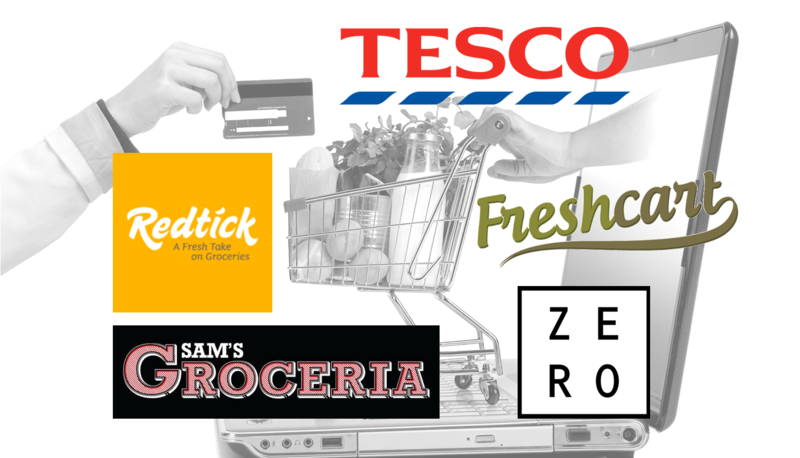 Tesco is one of the bigger online grocery platforms and has a wide selection of goods. The platform often has promo prices, whilst also displaying the original price, so customers can gauge how much savings they have made with their purchases. Delivery fees differ, and can be checked through the ‘book a slot’ function on the platform. Whilst other platforms required a detailed registration process, Zero Online Grocery (Zero) allows users to sign up via Facebook, which made the initial process a lot quicker and easier. Users will only need to fill up their billing address and payment method at checkout point, and not before, like the other online grocery sites. The best part is, Zero also provides free delivery (no minimum order) and customers can choose to either pay online or via cash on delivery. Which Fare Is Cheapest To KLIA—Uber, Grab, Or Newcomer Airport2u.com? We Investigate. Grand total: RM50.70, with RM12 delivery fee. 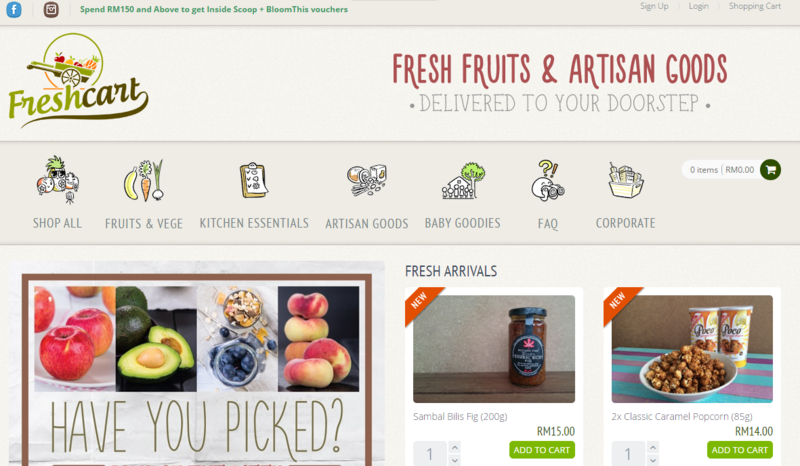 Freshcart is one of the more colourful and well designed platforms and they not only have the ordinary groceries, they also have organic/artisanal products and goods for infants. Those who are looking to lead a healthy lifestyle will be delighted with the platform as there are so many options of health products. Another interesting service is that they offer corporate packages to workplaces which want to replenish their pantry on a consistent basis. The corporate packages are fully customisable according to frequency, packaging specifications, and delivery schedule. Grand total: RM35.95, inclusive of GST and RM10 delivery fee. 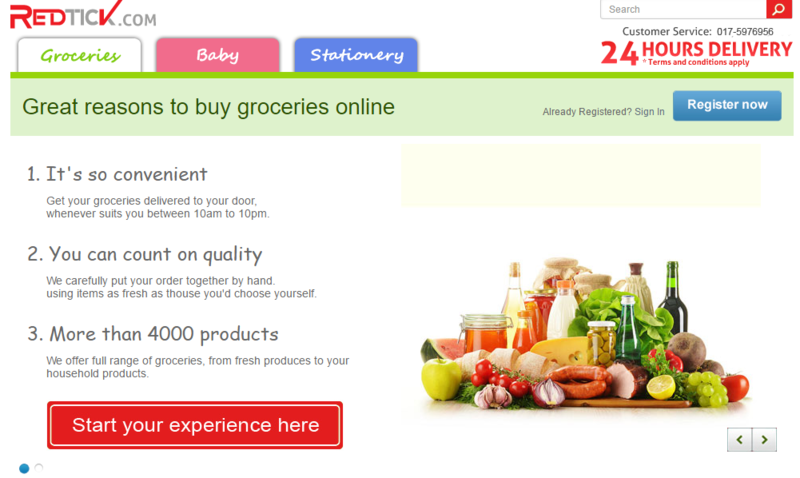 Sam’s Groceria makes grocery shopping a breeze as it uses a ‘shop online, pay later’ concept whereby customers can proceed to fill their basket, and only pay when the goods arrive at their doorstep. As such, Sam’s Groceria places a disclaimer on their site saying that all prices are rough estimates only, and are based on prices in store, at the time the groceries were booked. There is a minimum order of RM50 for online purchases and next day delivery fee is RM10. As for purchases RM100 and above, they deliver for free. 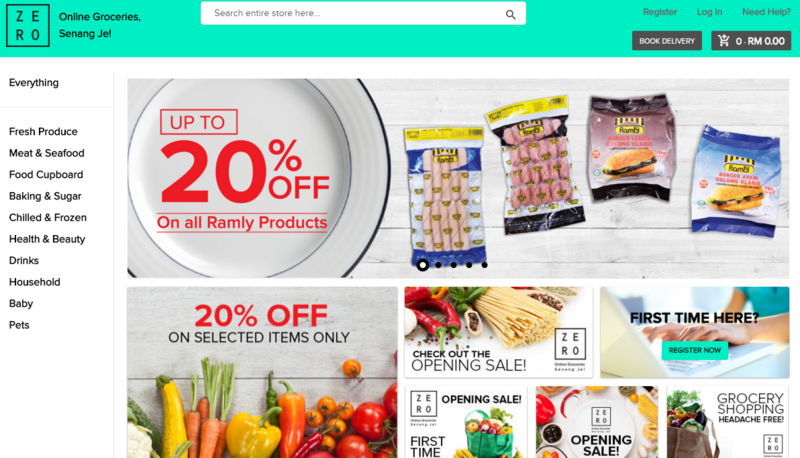 Some of the items have significant price differences as compared to the next store, and this just goes to show that with a little elbow grease put in to compare the ringgits, one can wind up saving up to RM10 on their grocery for the week, and this will certainly add up in the long run. It’s also wise to choose items which have discounted prices, and sites which have lower delivery fees or even zero delivery charges altogether. It’s not always easy to save up, but it’s the little things that count and are the ones you wouldn’t even notice in the first place, but would make a world of difference later on.